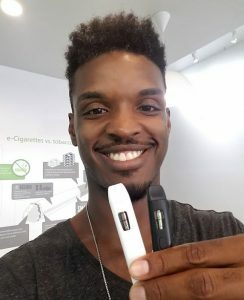 Tip of the cap to VaporFi for filling a gap in the vaping market. 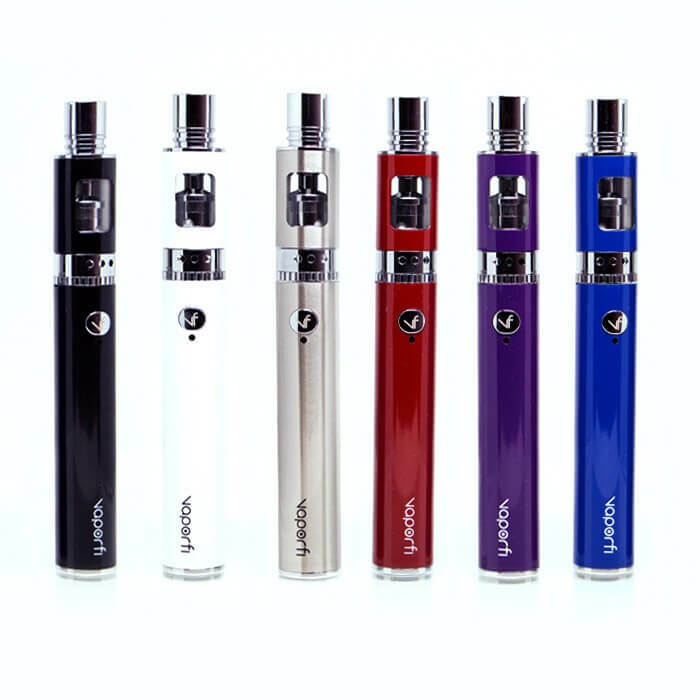 The Air 2 adds a lot of convenience to your lineup, especially if you vape oils in addition to e-liquid. A nice super compact vape pen is hard to come by. There are a lot of “mini” vapes that aren't that miniature at all. But this one actually is very small. The Air 2 makes for an awesome complimentary device. The battery life is 350mAh, so it's perfect for when you need a smaller device for a short while. It's not the pen you want to carry around all day, although it's so small carrying it is a breeze. The only reason you wouldn't use this as your all day vape is because sometimes you're going to need a long lasting battery. If you have a portable USB battery pack for your cell phone, then this device would be able to bum sum juice off of it and last all day. Or if you work somewhere where you'll easily be able to charge it. 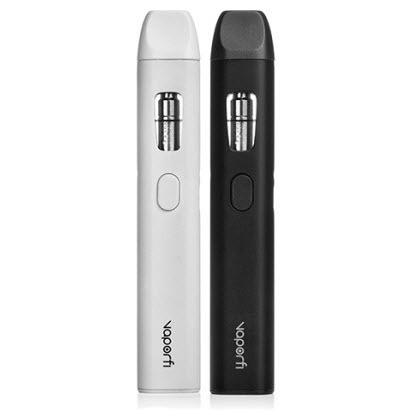 My point is, if the battery life fits with your lifestyle, then this would make a great little all day vape. If not, then go with something bigger like the Rocket 3 (excellent vape pen btw). But if you already have your all day vape, then this one would make a great addition to the lineup. It's absolutely perfect for when you need a more concealable device or just don't want to carry around a big box mod. You get a nice smooth hit off of the Air 2. Of course, a lot depends on the juice you put in it. When using a VaporFi six nic 50/50 custom blend, it's comes off nice and smooth. The hits off this pen are surprisingly consistent for such a little device. I don't know why I'm surprised, because VaporFi always makes high quality devices. I wouldn't be surprised if this thing was in R&D for over a year. There devices never seem to disappoint. For someone who is trying to make the switch, you might want to use an e-liquid with more nicotine and a different PG/VG ratio. If you're trying to make the switch, and this is the first device you're buying, then you're in a good position. One of the things that is awesome about the Air 2 is that is supports pass-through charging. You'll be able to vape it while it's on the charger. The battery life is pretty short for an all-day vape. If this is going to be your only device, then I hope you're near a charger a lot. This is a great complimentary device. 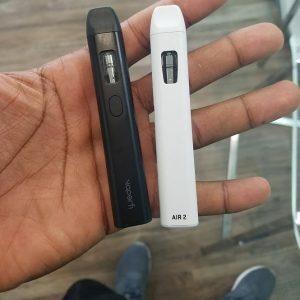 VaporFi makes some other devices that are better for an all-day vape, like the Rocket 3 (our #1 recommendation). But you could still use the Air 2 to get started and test the waters. Pick your e-juice carefully if it's your inaugural vape. A little experimentation wouldn't hurt either. Just make sure you're getting a strong enough e-liquid so it satisfies your cravings. Starting off with a 70/30 blend is what I would recommend. That is, 70% PG, 30% VG. This blend will give you a more cigarette-like throat hit than a 50/50 blend. The 50/50 blend will be smoother, but smooth isn't always good. When making the switch, the throat hit is something you will definitely crave. It's common to not plan for the throat hit because it's something you didn't know you'd miss until it's gone. You also might want to consider starting off with more than 6mg of nicotine. Try a 12mg or 18mg vape juice and go from there. Maybe even order both a 12 and an 18 nic juice and see which one you like better. Luckily for you, VaporFi is actually one of the best e-liquid brands in the world. I'm not exaggerating either. They allow you to create custom blends and have over 30,000 flavor combinations. You're in good hands if you're looking to make the switch. You'll be able to order everything you need from VaporFi. One of the things that takes some getting used to after making the switch is the size of mods. It's very different than holding a cigarette and much heavier. Not everyone wants to hold a brick in their hand, at first. It's easier to start with something that's closer to the size of a cigarette. Cig-a-like do a great job of mimicking the size of a cigarette, but they have plenty of shortcomings. The flavor is meh, and the batter life on them isn't all that great either. The Air 2 picks up their slack while staying relatively small. It's not as small as a cig-a-like, but it's so much smaller than a box mod and even smaller than most starter pens. 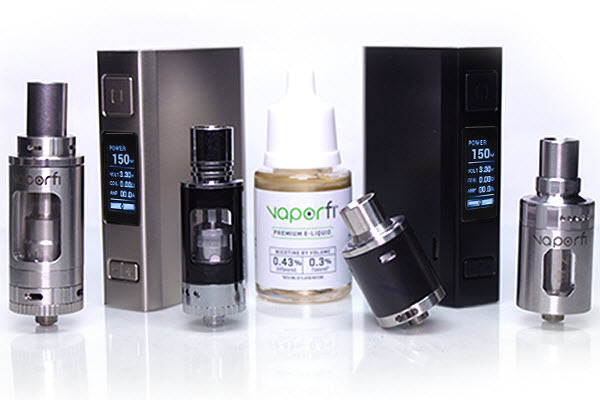 As I mentioned here, VaporFi is not concerned with all the gazillion wattage device hype. They are in the business of helping people make the switch as seamlessly as possible. A 350W mod has absolutely nothing to do with making the switch to vaping. It does, however, help some people stay interested in vaping instead of reverting back, but we'll save that topic for another article. My prediction is that those mega wattage devices will fade away into the abyss of forgotten devices over the coming years, and VaporFi will be in an excellent position because they kept their focus on helping smokers. The Air 2 is designed to add convenience to your life. It's not a device designed to be a novelty toy that throws out more power than anyone should ever vape. I'm not a big fan of inhaling charred substances, and vaping e-juice at 350W could do just that. When you see a company making devices like that, just know they're lost in the hype and have strayed from their original mission. Well that's assuming they started their company to help people transition, although I'm sure some are in it just for the money. VaporFi seems like one of those companies where they have their whole staff read their mission statement every day. They just seem so laser focused on helping people make the switch. Again, tip of the cap to VaporFi for keeping true to their mission and making all of our lives more convenient.